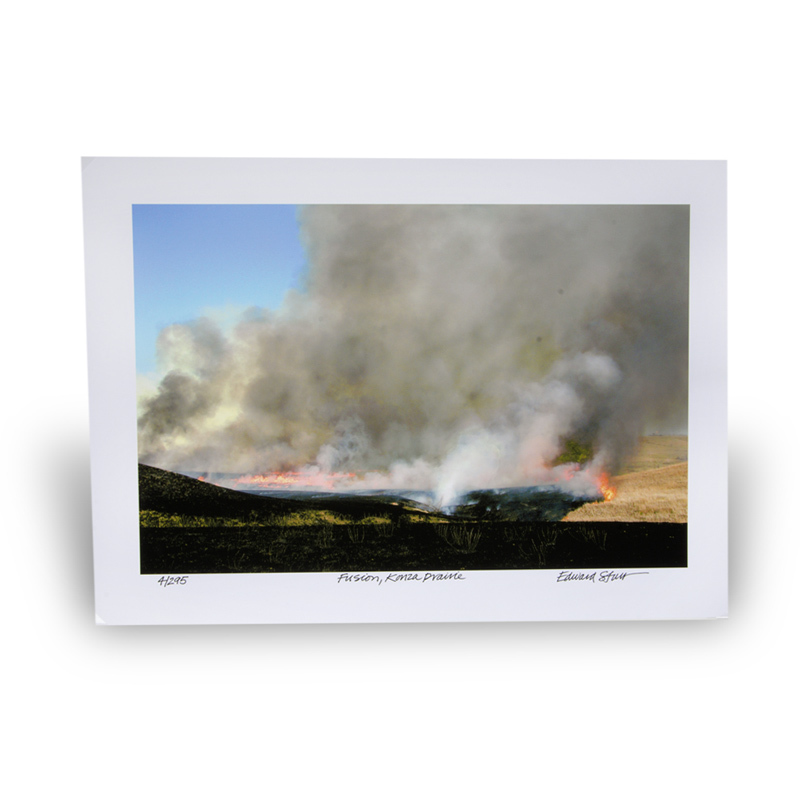 Fusion, Konza Prairie is a limited edition hand-colored photograph depicting the burning of the Flint Hills. Controlled burning is used to help expose the darkened soil, allowing quicker access to sunlight, spurring spring growth. The Konza Prairie near Manhattan contains the largest remaining area of unplowed tallgrass prairie in North America. The print is numbered and includes a Certificate of Authentication and artist signature on the back. By Edward Sturr, Prairie Light Studio of Manhattan, Kansas.